How to keep your brain sharp as you age. Use it or lose it isn’t just a mantra for muscle strength, it can apply to brain health as well. Did you know that your brain’s volume gradually shrinks as you get older? Some nerve cells can shrink or lose connections with other nerve cells. This doesn’t mean you should just accept that your mind isn’t going to work as well and give up. 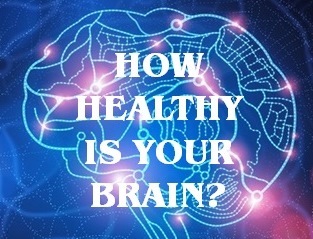 There are things you can do to maintain brain health. Stimulate Your Brain: Keep you mind active by playing challenging games, read, write stories or memoires or do crossword puzzles. Take a class or try an online learning program to learn new things such as a new language, new hobby or new cooking methods. Test Your Brain: Engage in mental activities such as testing your recall. Make a list of groceries and see how many you can remember or draw map from memory or learn new facts. You can also test your brain by doing math problems in your head or memorizing phone numbers. Shake Things Up: Challenge your brain by doing normal activities differently. If you normally start on the right side of the grocery store, start your shopping on the left. If you eat with your right hand, use your left hand. You can also try taking a different route on your walks, or if you learned a foreign language in school, try using the ATM in that language to remind your brain how much you know. Take Brain Health to Heart: What’s good for heart is good for brain. Do something every day to prevent heart disease, high blood pressure, diabetes and strokes – all of which can increase Alzheimer’s risk. Your Numbers Count: Keep body weight, blood pressure, cholesterol and blood sugar level within recommended ranges. Work Your Body: Physical exercise keeps the blood flowing and may encourage new brain cells. Do what you can – like walking 30 minutes a day to keep both body and mind active. Use Your Head: Avoid unhealthy habits such as smoking, excessive drinking or using street drugs. Are there activities you do to keep your mind sharp?